The scenes are stark. The understated narrator is grim. The music provides the mournful undercurrent of the lone violin, tuning up for a dance that never comes. The setting befits a world coming to an end. 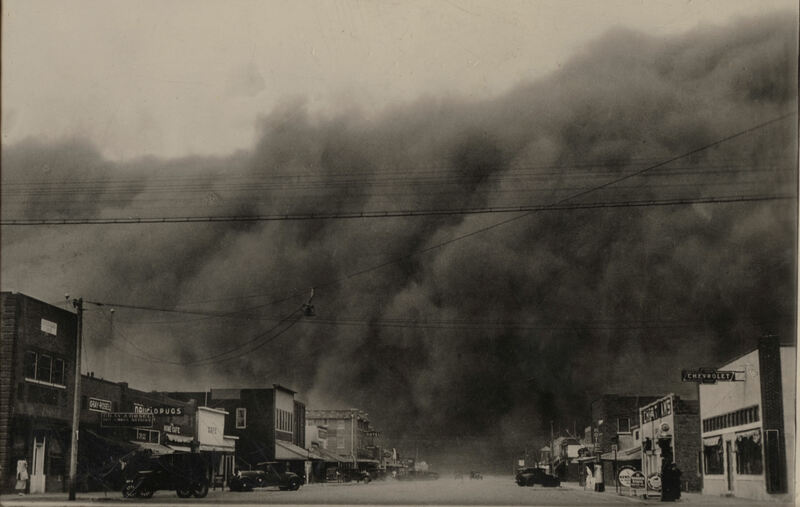 This is “The Dust Bowl”, the latest in the string of gripping documentaries by now legendary film maker Ken Burns and Dayton Duncan, his long-time co-producer, historian, and writer. 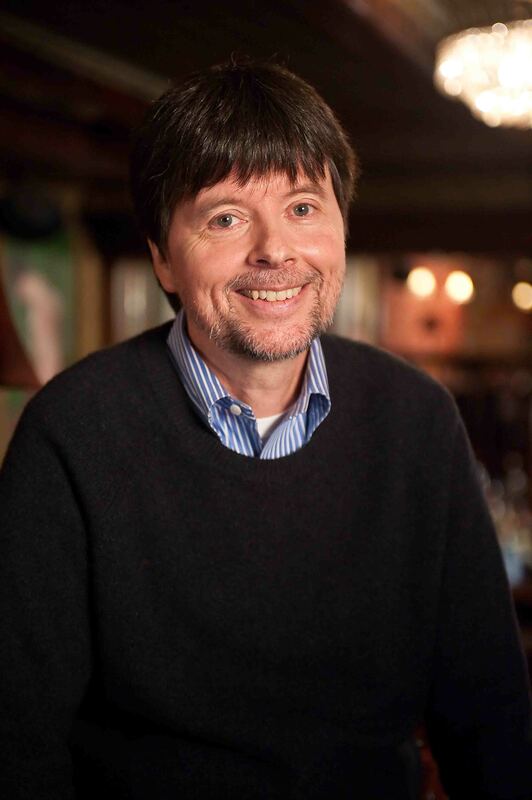 The two-part, four-hour documentary begins airing on Public Broadcasting Stations Sunday night. It is a subject that nearly everyone in America has heard of. But the details and the personal triumph and tragedy of that epoch are wholly unknown to many. It was premiered before a stunned group of about 500 members of the Society of Environmental Journalists last month, a fitting setting for what the film bills in its opening sequence as “the worst manmade ecological disaster in American history. The heedless actions of thousands of farmers, encouraged by their government, resulted in a collective tragedy that nearly swept away the breadbasket of the nation. And it is different from Burns’ previous documentaries such as “The Civil War” in one significant way: the tale is largely told by living survivors, instead of actors reading the letters of participants long since dead. In that regard, Burns and Duncan have crafted and brilliantly meshed together two companion features. The first is the stark tale of the creation of the conditions that resulted in the environmental disaster that is the title of the documentary, and shows how close America came to creating a permanent Sahara Desert in what was its breadbasket. 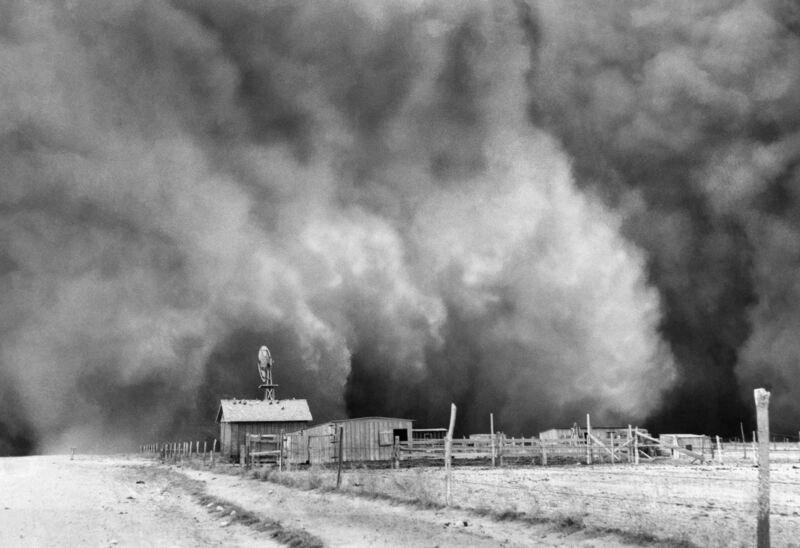 The Dust Bowl evolved from the utter destruction of the western prairies, flatlands running from Nebraska to Texas that were anchored by endless miles of prairie grasses. 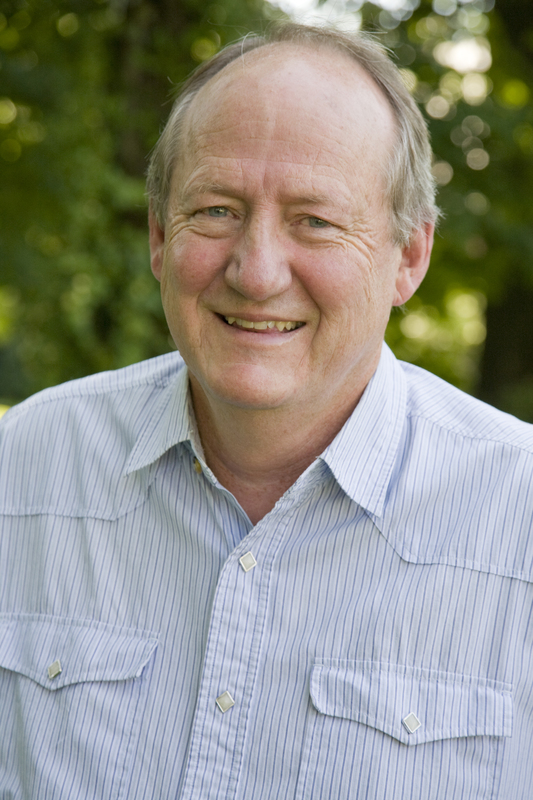 Donald Worster, an environmental historian at the University of Kansas who is quoted extensively in the film, said the grasses evolved over the millennial for the particular western environment. Their roots extended down to five feet or more, holding the soil in a region which rarely got 20 inches of rainfall annually and nourishing the vast herds of buffalo in a land with few trees. In the latter part of the 19th century the buffalo were slaughtered to near extinction as part of a government program to kill off the main food supply of the Plains Indians and, as a result, destroy most of the regions Native Americans. 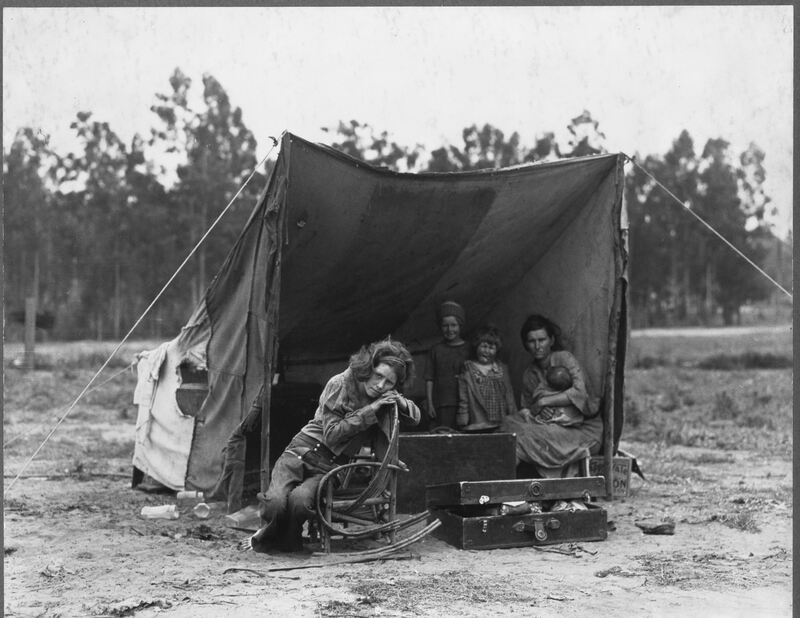 Then, early in the 20th century, Congress enlarged the Homestead Act, making it possible for Americans who previously had nothing – European immigrants to white southern sharecroppers – to own land and become relatively rich from the newly opened farmland anchored by the nexus of Colorado, New Mexico, Oklahoma, Kansas and the Texas Panhandle. Curiously, Burns omits the fact that Blacks, who would have benefited as much as poor whites from homesteading, were not welcome in a region dominated by the KKK. Indeed, in October, 1921 the Greenwood section of Tulsa, Oklahoma, a Black community of 10,000, was burned to the ground and hundreds of men, women, and children murdered by a white mob led by the KKK and local police. The land was the incentive to aspiring farmers. Then, government experts told the new arrivals that removing the prairie grasses would allow more rain to penetrate the soil, making it more fertile. Further, the government said mechanization was the best way to farm. That transformation came to be known as “The Great Plow-Up” and, according to historian Worster, lay at the heart of the predictable calamity to follow. With the outbreak of World War 1, the government encouraged farmers to plant more wheat in support of the war effort, and set minimum prices which, in turn, encouraged farmers to plow up more and more thousands of square miles of prairie and supplant them with row upon row of wheat. As is typical from Burns, the photography is stunning with a deft intermingling of modern scenes of the region with historical footage. Then, there are the people. They also went to local historical societies, nursing homes, senior citizens’ centers and held discussions about the Dust Bowl period, and found people who lived through it or knew others who had. The sight of a roiling wall of dirt 10,000 feet high is stunning enough. These were not simple storms, either. There were the small, localized storms, like land-based water spouts. Then there were the slow lingering ones, which basically created a haze over an entire region. And then there were the monsters that turned day to night and could literally last for weeks. But what brings that picture to life are the people who were there. Henderson started her homestead in a one-room shack with her two cats that she called “her castle,” and in an era when there wasn’t much electricity. She later added a windmill to bring up water for her flocks of chickens and turkeys and made additional money by writing about the western plains for the Atlantic Monthly. The farmers thought they were separate from the rest of the country and immune from its problems. The stock market crash of October 1929 triggered a depression, but it was the best year ever for wheat farmers. But by 1931, the commodities market crashed and the government asked farmers to reduce the amount of wheat they would plant, to help keep supply down and prices up. Instead, farmers stripped more land and grew more wheat, resulting in a bumper crop in 1932. It was a crop no one could afford to buy. And they plowed up more grassland. And they planted more wheat. And the dust storms grew. Among the haunting images in “The Dust Bowl” are those of children, wrapped from head to toe in rags to keep the sand from scouring them as they headed off to school. And sand makes it hard for adults to breathe, and for children to live. And then, there were the Coen brothers, Floyd and Dale, from southwestern Kansas. They sat side by side, talking calmly into the camera about what it was like before and after the storms came. But then the storms came, said Floyd, “and you felt like it was going to crush you.” And he talked about the bed they shared with their little sister Rena, age two, who had more and more troubled breathing in the ever-present dust. They watched as she gasped more and more for air and then, at two and a half, she died. And they were silent for a minute. And Floyd cried. It is a raw and vivid and extraordinarily well executed documentary that makes viewers marvel at the overpowering strength of nature unleashed, the arrogance and folly of crafting policies designed to tame the environment rather than live with it, and the resilience of those live through such a preventable disaster and rebuild their lives. Much of the destruction wrought by Superstorm Sandy resulted from years of over development in low-lying areas without provisions for inevitable floods, and political posturing that ignores ongoing climate change. For nearly a decade, the region has had studies showing that rising sea levels would result in Category 1 hurricanes having the destructive impact of a Category 4 hurricane because they were starting from a higher sea level and the winds would cover a bigger area. A 2004 report from NASA and the Columbia University Earth Institute even predicted flooding of the subways and tunnels from what would become regular, rather than once-in-a-lifetime storms ( http://rogerwitherspoon.com/pdfs/enviro/risingwater.pdf ) . The fact that nothing was done about it is all too familiar. 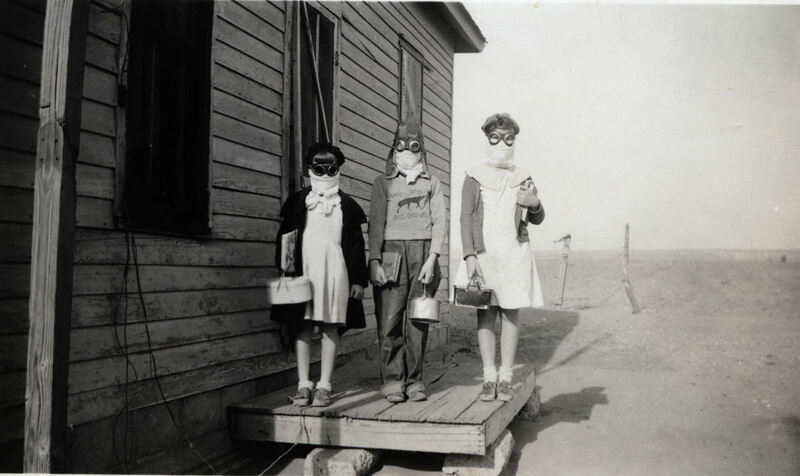 “The Dust Bowl” revealed there was a series of droughts followed by dust storms in 1951 and 1952. These weren’t as severe as the earlier storms because about half the farmers had changed their methods. They were planting windbreaks and prairie grass between discreet wheat fields instead of planting nothing but wheat as far as the eye could see. But those who didn’t mend their ways, or didn’t believe the cycle of drought and wind could come again, saw they farms blow away. “After the ‘50s,” said Duncan, “there is an additional wrinkle. The technology was developed that allows the whole region, from Nebraska to Texas, to dip into the Ogallala Aquifer to irrigate their land. That encouraged many farmers to cultivate corn, which requires more water than does what. Question: What do you think of Burns’ not making the direct link between the Dust Bowl and climate change in the documentary’s intro or conclusion (as I understand it)? Burns and Duncan are historians, painstakenly pointing out an environmental folly and the fact that a second generation of politicians and farmers ignored the lessons of the past and repeated the same practices — with the same result. It is for viewers to heed the dictate that “those who forget the past are destined to repeat it” and apply that to environmental issues of today. I felt it appropriate in my review to point out parallels to today — but that’s my role as a columnist.